Arvada Football is an all-volunteer organization made of men and women who fill the board, coaching, and team parent positions. These volunteers are committed to teaching Arvada's youth how to participate and compete in the game of football. Arvada's online registration begins on March 1st for all Arvada athletes in grades 1st - 8th. New and returning players can register for the 2019 season by clicking the registration tab on or after March 1st. June 1, 2019. Additional information may be found on the scholarship page. Since 2012 Arvada Youth Football has been Colorado's leader in USA Football's certification program. 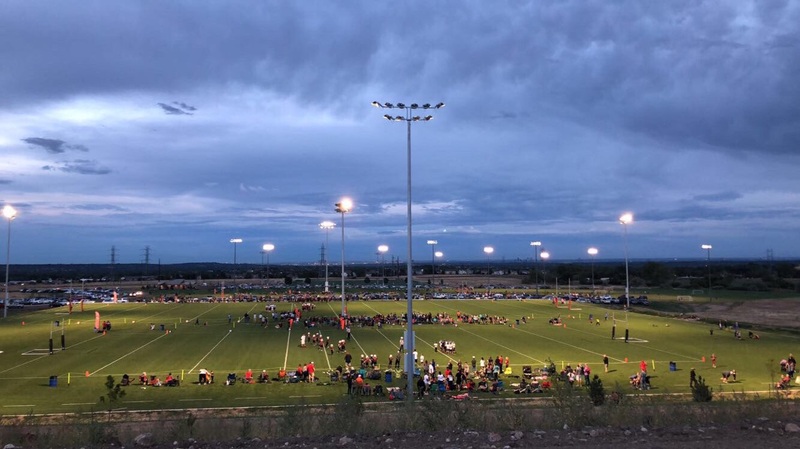 Our relationship with USA Football has created a Better, Safer Game for Arvada's youth football players. All Arvada coaches are USA Football certified. Arvada Youth Football will post updated events and league announcements on the Arvada Youth Football News tab. Please check back frequently for Arvada Youth Football announcements and activities. Feel free to visit the board's contact page if you have any questions about Arvada's youth football organization. YOU ARE NOTIFIED THAT ARVADA YOUTH FOOTBALL WILL BE PHOTOGRAPHING FOOTBALL GAMES. THOSE IMAGES MAY BE POSTED AND UTILIZED ON OUR WEBSITE. BY PARTICIPATING IN THESE EVENTS, YOU WILL BE DEEMED TO HAVE CONSENTED TO THE USE OF PHOTOGRAPHIC IMAGES.